VIP List forming for The Residences Condos at Red Rock Station Casino Las Vegas. Red Rock Residences at Red Rock Resort Las Vegas interest list by Las Vegas Real Estate is now forming for Las Vegas luxury real estate for sale in Nevada. Condominium homes ranging from 850 square feet to 2,550 square feet with premium flooring, marble or stone kitchens and baths, granite counter tops, superior fixtures, designer cabinetry, and stainless steel appliances. Get in on your piece of Summerlin, Nevada Real Estate today. A unique selection of penthouse and poolside condos are also available. Reservations for this Summerlin Real Estate of these condos is anticipated some time this June for The Residences at Red Rock Station Casino. Register with Las Vegas Real Estate to be one of the first VIP’s to reserve your perfect Red Rock Station Casino Condo. By choosing The Residences, Summerlin Real Estate, at Red Rock Station Casino Las Vegas you will enjoy amenities and services usually reserved for those vacationing at a world-class resort in Las Vegas. Highlights include porte-cochere entry, valet service and private indoor parking, secure lobby with concierge, a residents lounge, private screening room, game room, party room with catering kitchen, wine room with bin storage and private diing area, plus a fitness center with yoga, aerobics, weight and spa treatment rooms. A lushly landscaped pool, a definite luxury in Las Vegas Luxury Real Estate, and spa area emphasize the resort-style at Red Rock Station Casino Las Vegas with cabanas and outdoor entertaining areas with BBQ’s and refrigerators. Part of the Red Rock Station Resort Las Vegas campus, The Residences at Red Rock Casino offer an integrated lifestyle that cannot be matched. Planning a night on the town in Las Vegas or Summerlin is as simple as choosing a restaurant or lounge and taking a short walk over to Red Rock Casino and Resort. The possibilities are endless with nine full-service restaurants, eight quick-service eateries and 12 bars and lounges. Indulge in one of the extraordinary treatments offered at the world-class Red Rock Casino Spa, take in a movie at the cinema, or enjoy a poolside concert, without ever leaving your Summerlin Nevada real estate. If outdoor entertainment is your choice, The Residences at Red Rock Resort Las Vegas are located minutes away from the Red Rock National Conservation Area and in the heart of Summerlin, Nevada Real Estate, one of the most successful master planned developments, with its increasing value in Las Vegas Real Estate and Summerlin Nevada Real Estate, in the United States. Las Vegas Real Estate today? Would you like to own Summerlin Nevada Real Estate near Red Rock Station Casino or The Residences at Red Rock Resort? Call 702-505-6988 for more information and to be represented by a Las Vegas Luxury Real Estate REALTOR. 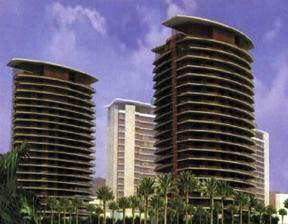 Red Rock Residences, Las Vegas luxury real estate for sale at Red Rock Resort Las Vegas, interest list is forming now. « Red Rock Station Casino in Summerlin, Nevada, Grand Opening!